Made from a blend of fresh barrels from the Jim Beam, Jack Daniel’s and Wild Turkey distilleries. These chunks produce bourbon of a taste and quality previously not available to the Craft & Artisan Distiller now make your own bourbon in one week. 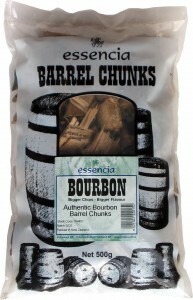 Use the bourbon chunks to add flavor and depth to your favorite Brewing recipe of ale or stout. Makes approx. 9 26 oz / 750 ml bottles of premium Bourbon at a approx. cost of $3.40 per bottle. Fermanagh Whiskey – a smoky peat single malt. With a uniquely smooth and fully rounded flavor, this Irish whiskey will appeal to the connoisseur.This whiskey ages brilliantly. Flavors 2250 ml of alcohol or make 3-750ml (26oz) bottles of your favorite spirit. The authentic worlds most popular taste of Scotch Whisky with subtle oak and peat notes originating in Kilmarnock, Ayshire of Scotland known for its bold, full character taste. A 28 ml bottle will flavor 2.250 litres (76.1 Fl Oz) of neutral spirit/vodka making 3 – 750ml (26 fl oz) bottles. Made from a blend of fresh barrels from some of the worlds finest whisky distilleries. Produces whisky of unmatched quality and character. Use again to produce a furhter 2 x 1125ml (40oz) bottles of good whisky in three weeks. These Chunks can then be used a third time, soaking 2.3lt of spirit for 5-6 weeks, then adding a bottles of essencia Whisky flavor to produce another 2 x 1125ml (40oz) bottles of great whisky.